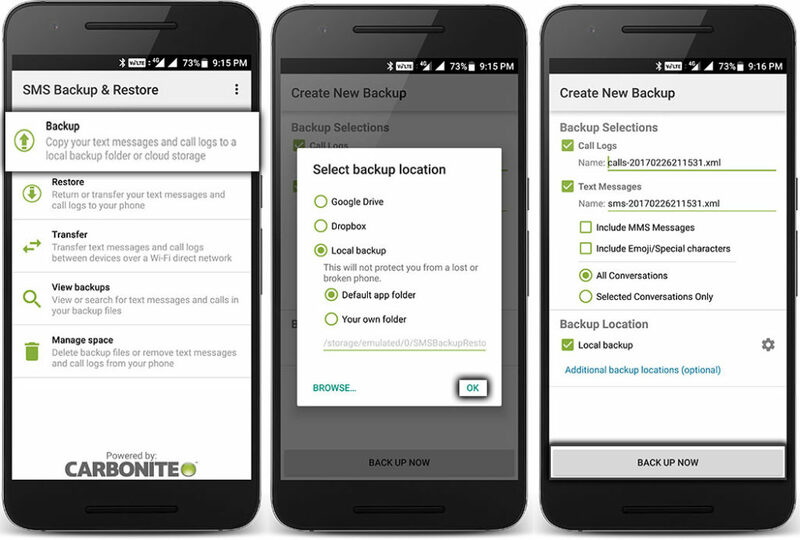 Home Guide How to Completely backup Restore Android app data Msg call log etc. How to Completely backup Restore Android app data Msg call log etc. backup Play Most important Role during the Reseting the Device. it will help us to Restore all our data’s when Something Goes Wrong. backup also help us during the upgrade the device to a custom ROM or the worst would be to lose the phone then backup comes as a savior in case something goes wrong. If you backup your data you won’t have to cry tomorrow. 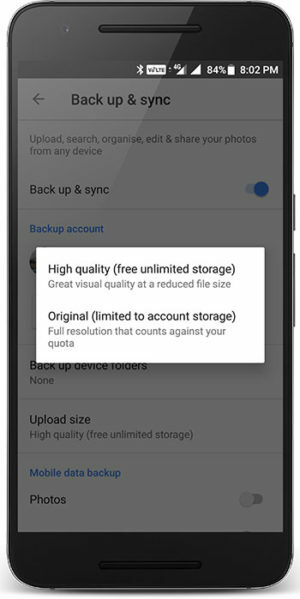 This is also true that backing up the data will not come with a mere click. You either have to say hello to your wallet or go confuse what to do. Read below on How to Backup Your Android Phone Without ROOT. Go to Settings –> Accounts –> Google –> Select your Gmail Account –> Enable Contacts Sync. 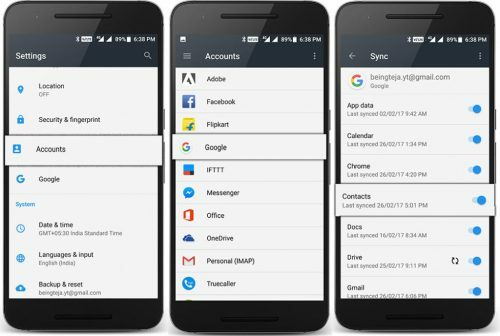 Similar way you can sync all your calendar, app and other required data to your Google account. 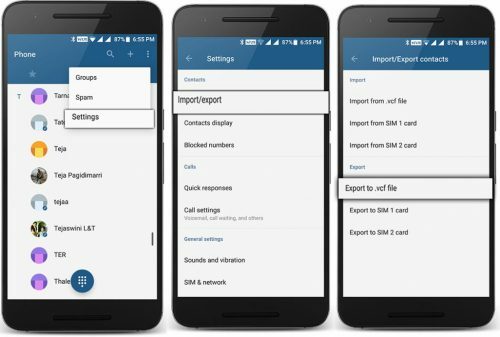 Go to Contacts –> Click on three-dot menu (Top right side on your screen) –> Settings –> Click on Import/Export –> Click Export to .vcf file. Download SMS Backup and Restore app. Open the app and click on ‘BACKUP’. It will backup all your messages. Every snap in your mobile is one of the precious memories. So backup is must and should. 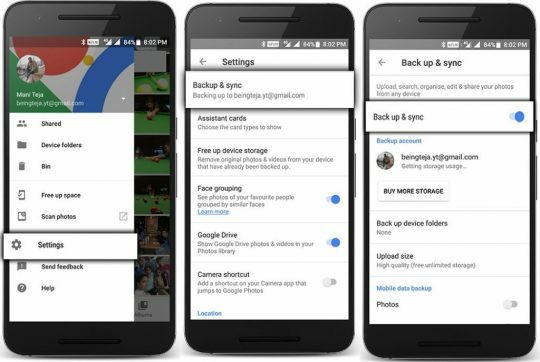 There are loads of cloud storage apps (Google Photos, OneDrive, DropBox) which will give you free storage to back your photos. We will discuss how to backup photos in one of those apps. Go to Settings –> Backup & sync –> Turn on Backup & sync option. Without apps smartphone is nothing. Apps make our daily life easy. You can take the batch backup of all the apps using App Backup and Restore app. This app will only backup apks of your apps. If you want apk + data to backup, then you need root access. Taking the backup of individually is bit confusing and time taking process. So you can use this backup tool Easy Backup and Restore to backup all your data into your SD card, DropBox, Box or Google Drive. Using this app, you can backup your contacts, SMS, calendar, apps and much more. You can Restore the files individually as you like. There are many best backup and restore apps in play store like My backup pro.